A robust Software Change Management (SCM) system can substantially improve software development, modernization, testing, and deployment efficiencies, streamline processes, reduce software defects, and ultimately enhance customer satisfaction. TD/OMS is an in-house developed, easy to use, flexible and cost effective Software Change Management solution supporting IBM i (AS/400, Power Systems), Windowsand Unix/Linux. The basics of TD/OMS incorporate fundamental IT business processes such as Incident Management, Configuration Management, Version Management, Release Management, Life Cycle Management and Software Distribution & Deployment. The IT organization is supported in streamlining the change process of any type of application, no matter the complexity of the environment. 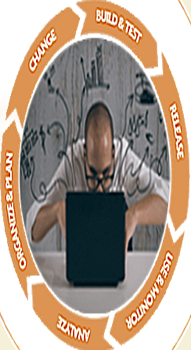 TD/OMS gives complete control over the software life cycle process. It provides a real time overview of software components and configuration. Compliance and auditing requirements can be easily met due to the registration of all component movements. The TD/OMS Software Change Management solution of Remain is for companies that would like to assure the highest quality of their applications and want to reduce costs of IT,improve the workflow, implement IT best practices and need to be compliant to law & regulations such as Basel II, SOX, IT audits, HIPAA. ©PMS Information Systems. All rights reserved.